Built in 1893, the Eagle Warehouse and Storage Co. building was designed in a style known as Richardsonian Romanesque, named for Romanesque Revival architect Henry Hobson Richardson. 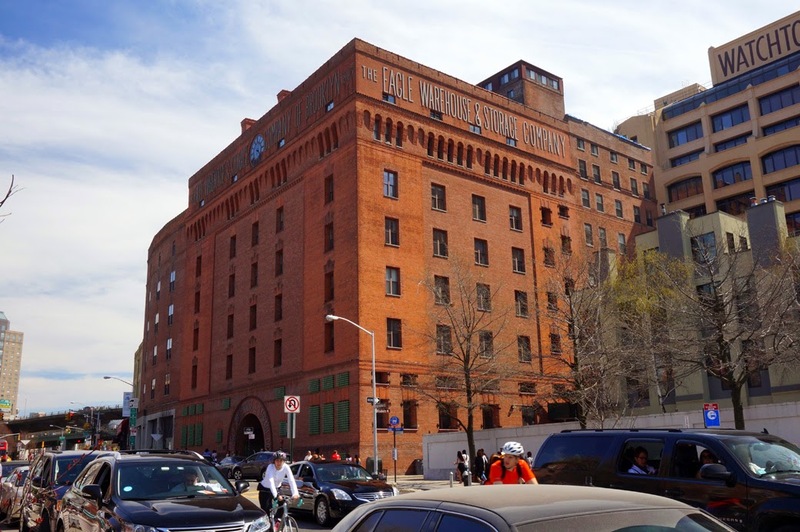 The building’s designer was “Brooklyn’s greatest architect” Frank Freeman. 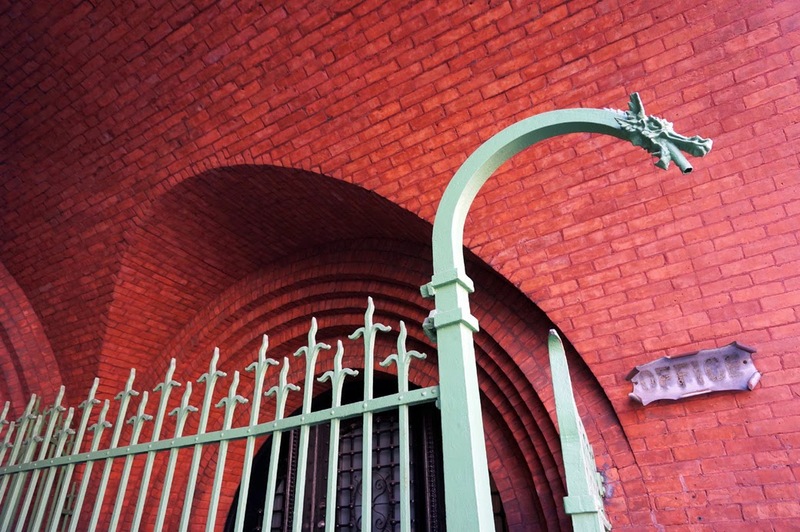 Freeman was a prolific Brooklyn architect who’s buildings include the Brooklyn Fire Headquarters, Herman Behr Mansion, Bushwick Democratic Club, and more than a hundred other buildings around the borough. 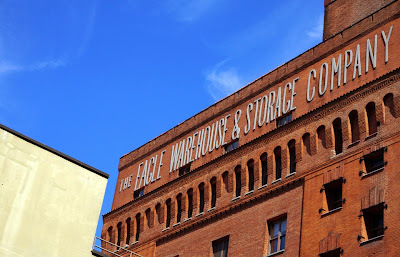 The former warehouse of red brick was built like a fortress, with a heavy imposing base and iron barred windows. Although the Eagle Warehouse once stored furniture, safe deposit, and silver vaults, it now serves as residential accommodations. The glass of the clock at the top of the structure doubles as a window for an incredible studio loft. 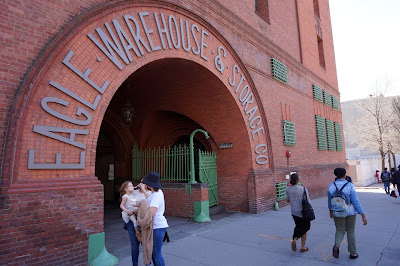 According to Brownstoner, the building was erected where the former headquarters of The Brooklyn Daily Eagle once stood and the press room was incorporated into the Eagle Warehouse. It was at this location that Walt Whitman edited The Brooklyn Daily Eagle from 1846 to 1848. 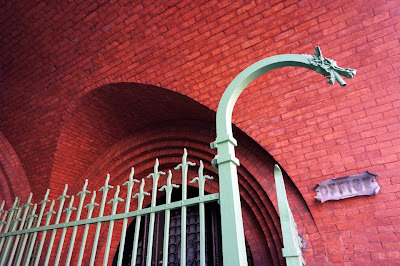 Gray, Christopher "Streetscapes/Frank Freeman, Architect" New York Times online. 26 February 1995. Dutton, Richard L. The Brooklyn Daily Eagle Postcards 1905-1907 Arcada Publishing, 2004. 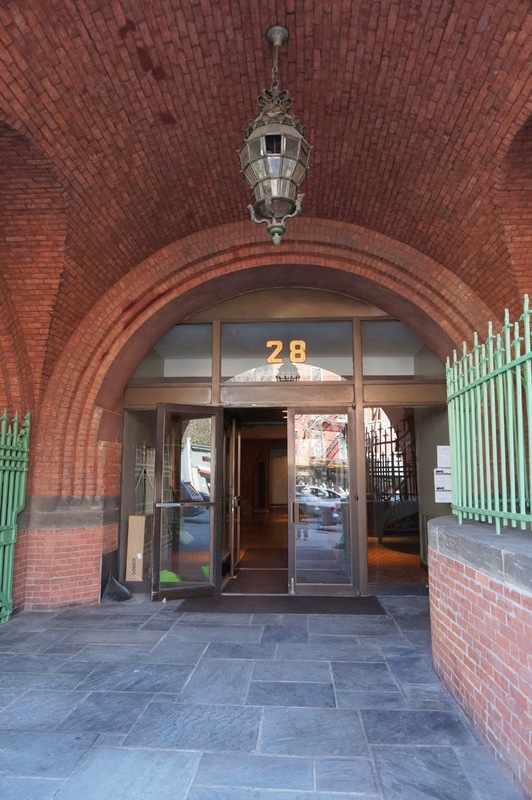 Montrose, Morris "Building of the Day: 28 Old Fulton Street" Brownstoner online. 26 January 2011.